Call for volume pricing. Note: These racks do not fit ComforTek Jubilee Church Chairs. Need underseat book storage that allow for extra deep storage? Comfor Tek offers these easy-to-attach racks that solve the issue for any Comfor Tek stacking pew chair! Need underseat book storage that allow for extra deep storage? Comfor Tek offers these easy-to-attach racks that solve the issue for any Comfor Tek stacking pew chair! 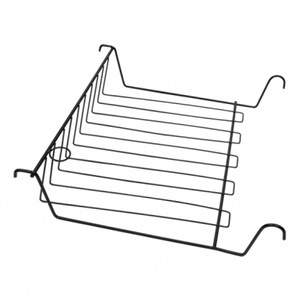 These racks are in stock with silvervein, textured black or antique brown finish. Other finishes are also available. Please call for information on these. 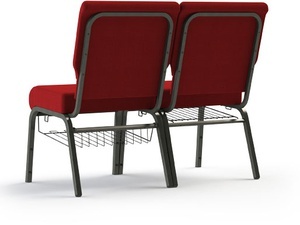 Note: These racks do not fit ComforTek Jubillee Church Chairs.